2nd Floor condo located in a very desirable neighborhoods in the SW Cape Coral. Direct Sailboat access to the Gulf of Mexico with no bridges. This is a very nice condo in small complex It offers 2 bedrooms and 2 bathrooms. 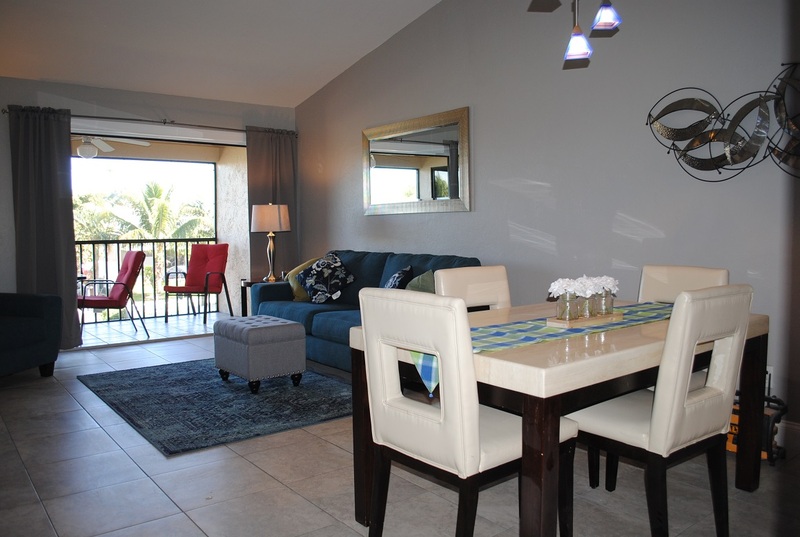 The condo is comfortably furnished and offers a fabulous views from the living room through the large sliding doors that open to the screened-in lanai. If you bring your own boat or you want to dock a rented boat a boat dock is available. The Condo is close to resuarants and shopping with short distance to Cape Coral Pkwy.. This unit is only for monthly rental available. Application fee: $150. Cleaning fee: $150. Deposit: $500. Electricity: $50/month for additional KWH: $0.13/KWH. 6% sales tax and 5% tourist tax not included.